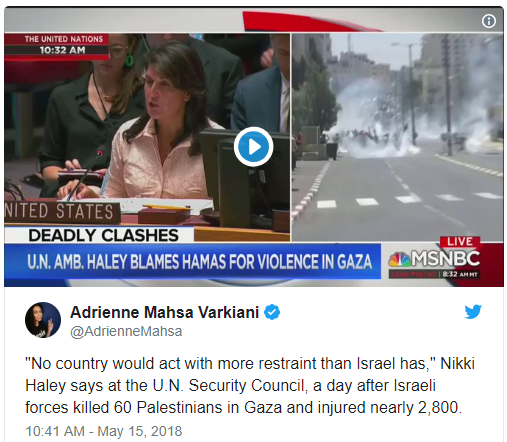 US Troll Ambassador to the United Nations Nikki Haley praised Israel on Tuesday for showing restraint as Palestinian militant group Hamas “has been inciting violence for years, long before the United States decided to move our embassy” to Jerusalem. 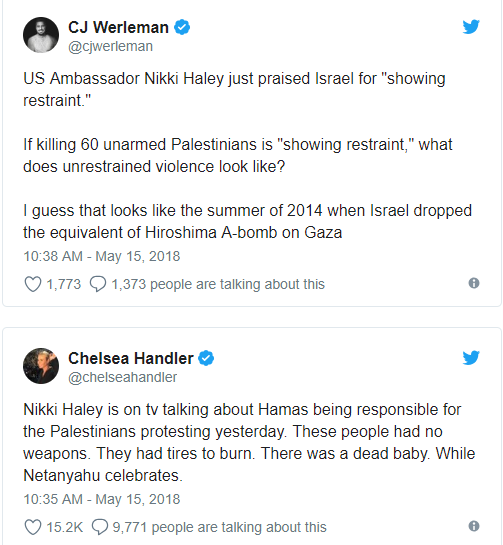 Yeah… How dare the Palestinians be upset that they’re being starved, brutalised, murdered, kept prisoners behind walls & having their homeland stolen! Gaza is a concentration camp, and what’s going on over there is pretty much a mass murder by Israel. Period. 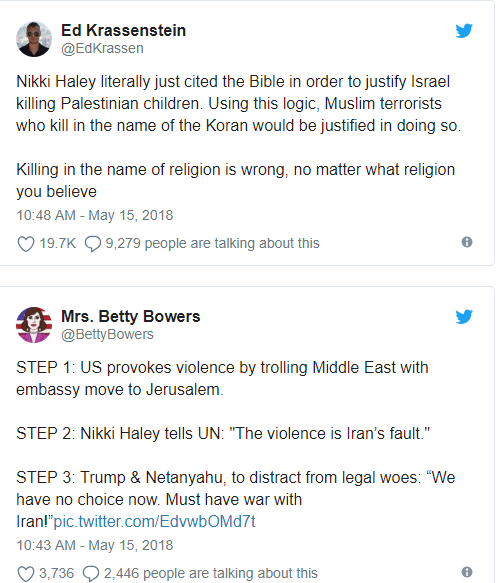 That so-called human being, Nikki Haley, is nothing but an embarrassment to diplomacy and a symbol of disdain, corruption, denial, ignorance and cruelty.